Whether you have a large landscaping project or simply need to touch up your flower gardens, Taylor's has the materials you need to get the job done. We stock brown, black, and red mulch as well as a wide variety of decorative stone, including both washed and crushed stone. 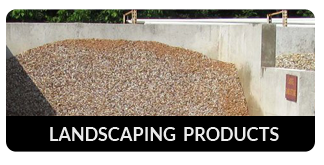 We have a huge selection of natural palletized stone for walls, patios, water features, walkways, and more. We also carry crushed base stone for use in driveways and lanes, under sheds and decks, as a base for patio/wall/walkway installation, and many other applications. We stock two kinds of sand as well as clean sifted topsoil. And to help keep the weeds out of your garden, Taylor's sells landscape fabric to put beneath your mulch or stone. All of our products can be picked up at our yard, or delivered for an affordable fee. 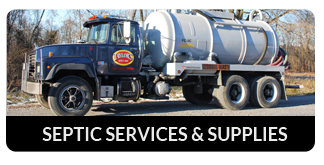 Taylor's also manages a diverse operation ranging from industrial cleaning and liquid waste hauling and disposal, to residential services including septic tank cleaning and sales, and the sale of mulch and stone. 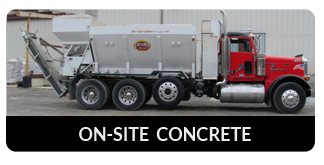 We also delivers on-site, fresh-mix concrete, and manufactures a variety of concrete products including step stones and benches.